Kevin C. Cox/Getty ImagesBeyonce knows a thing or two about performing at the Super Bowl, having sung the national anthem and played halftime — twice. So when she give a thumbs up to another artist’s performance at the event, it means a lot. 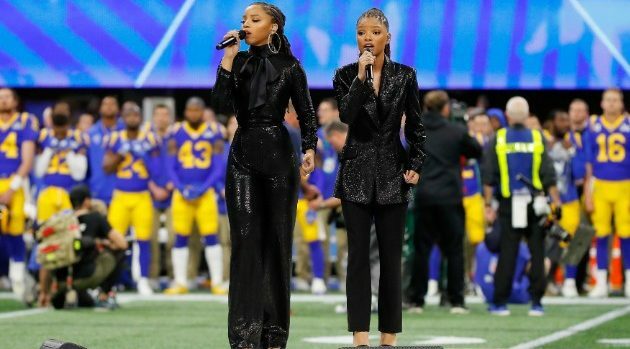 However, given that Beyonce and her husband JAY Z are supporters of Colin Kaepernick and his claim against the NFL, some fans questioned the Parkwood Entertainment artists’ participation in the event. “Thought we were boycotting,” wrote one in the comments. It’s a big week for Chloe x Halle: This weekend, they head to the Grammys, where they’re nominated for Best New Artist and Best Urban Contemporary Album for The Kids Are Alright.